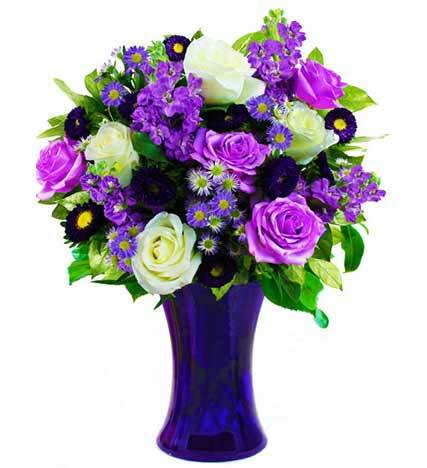 Purple and white hues come together in spectacular fashion in this gorgeous arrangement. Comprised of white and lavender roses, purple asters and stock flower, it's sure to enchant your recipient with it's rich colors. 05/09/2017 9:38AM Very nice ... thanks— Michael H.
03/24/2017 6:11PM The best, thank u!— Melissa G.